Would detention without trial have helped to prevent Charlie Hebdo incident? First thing first. For whatever reasons, violence should be condemned. And secondly, freedom of expression should not include the wanton insult of other religions. So as we lament the deaths at Charlie Hebdo, we should also deplore the malicious cartoons published by Charlie Hebdo. The incident at Charlie Hebdo has one peculiarity in that the two assailants were known terror suspects not only to the French authorities but also to other intelligence agencies notably the US that had placed them under their flight-risk list. And yet, they were allowed to roam the streets, to plan and carry out the attack all under the noses of the authorities. The excuse given by the French is that the two assailants were not the only ones on their terror list. There were many. And to monitor all of them 24/7 would have been impossible. And so the next question would be; why weren’t they detained? The reason is simple. France does not have detention without trial. To detain someone, they would have to be charged in court and evidence of their crime would have to be submitted. Obviously, they did not have the required evidence to detain them, but inexplicably they did have enough evidence to place them under terror watch. 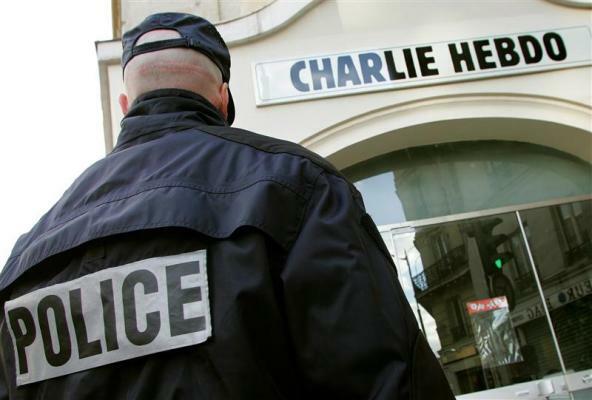 Would detention without trial help to prevent Charlie Hebdo incident? It might. In Singapore, we have the Internal Security Act (ISA) to function as a safeguard against such threats. Not too long ago, the ISA was extensively used to detain members of the Jemaah Islamiah (JI) who were planning a terror attack in Singapore. And the plan was foiled. Had there been no ISA to fall back to, the plan could very well have materialised and a lot of innocent lives could have been lost. No doubt the ISA has its fair share detractors. Western countries led by the US had derided the Act as inhumane and their human rights groups including some sections in Singapore had campaigned for the Act to be abolished. And then 9/11 happened and now we have Guantanamo Bay where hundreds of terror suspects have been detained without trial for years. The great United States of America; the land of freedom has embraced detention without trial. And we have to give credit to the Singapore government for standing firm during the time when they were under intense pressure to abolish the ISA. And now with the ISA, we could at least be assured that there is a mechanism in place to help prevent Charlie Hebdo incident from happening in Singapore. Yes. As many critics of the ISA have argued, it can be abused. But all legal systems can be abused. All you need is one corrupt judge.